In 1834, Joshua Speed, an ambitious young man from a well-to-do Kentucky family, set up a dry goods store in a two-story brick house on the corner of Fifth and Washington Streets in Springfield. Located on the town square in the commercial and governmental heart of what would become the state capital five years later, Speed’s store thrived financially. By 1839, it was also a gathering place for the male “lights” of the community, men who sought a congenial spot for coffee and cider, professional exchanges and gossip, political discourse (sometimes sharp-edged), and storytelling (often comic). Stephen Douglas, later an Illinois senator, often joined the group, as did several prominent judges, businessmen, lawyers and legislators. 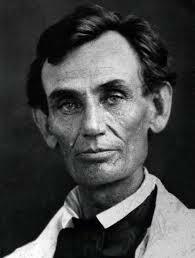 But Abraham Lincoln, who had only recently been admitted to the bar, was the magnet, the charismatic speaker who drew the intellectuals and politicians to the regular evening meetings.